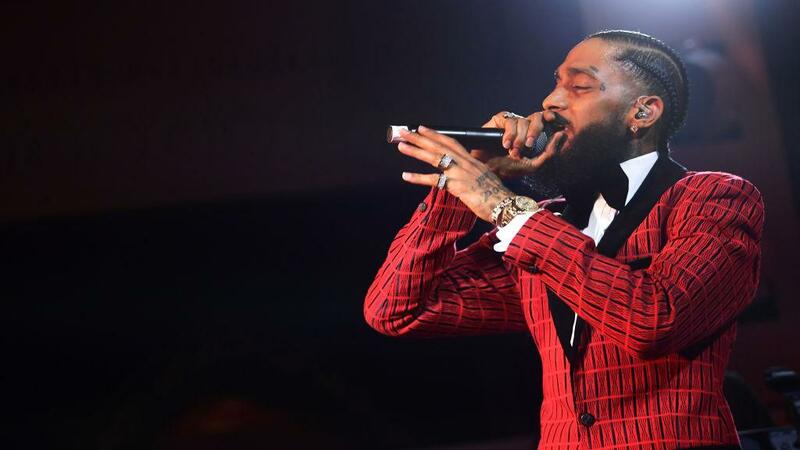 The Los Angeles Police Department Tuesday arrested Eric Holder, the lone suspect in the shooting and death of American-Eritrean rapper, song writer and activist, Nipsey Hussle. Hussle, whose real name is Ermias Davidson Asghedom, was murdered outside his store, Marathon Clothing, in South Los Angeles on March 31. He was 33 years-old and the father of two children at the time of his death. Holder, 29, an African American, allegedly shot Hussle five times (four times in the body and once in the head). He also wounded two other persons in the late afternoon shooting. LAPD officials said the motive for the shooting was an undisclosed "personal dispute." They stressed the shooting was personal and not gang related, as is being speculated by some. Hussle had made no secret of his past membership in the notorious street gang, the Rollin' 60s Crips. Police said Holder was also a gang member but didn’t reveal his gang affiliation. Hours before his murder, Hussle sent out a cryptic tweet: "Having strong enemies is a blessing." Holder, no relation to his namesake, former Attorney General Eric Holder, was arrested at the 9900 block of Artesia Boulevard, Los Angeles, said the LAPD. After Holder’s arrest, LAPD Chief Michel Moore recounted the events leading-up to Hussle’s murder. He said Holder approached Hussle and the other men he was with several times and spoke with them. Holder returned shortly thereafter with a pistol and opened fire. After the shootings, Holder fled in a 2016 Chevrolet Cruz driven by an unidentified woman. Moore said Holder had been engaged in some kind of dispute with Hussle, but didn’t specify the details of that dispute. “At this point in our investigation, based on witness statements, and the background of those that we’ve identified, we believe this to be a dispute between Mr. Hussle and Mr. Holder,” said Moore. Hussle was fatally shot in the 3400 block of West Slauson Avenue in the Hyde Park neighborhood in front of Marathon Clothing, a clothing store he opened in 2017. Surveillance camera video shows Holder walking up to Hussle and two other men in front of Marathon Clothing. Holder opens fire, and Hussle falls to the ground while the other men flee the gunfire.